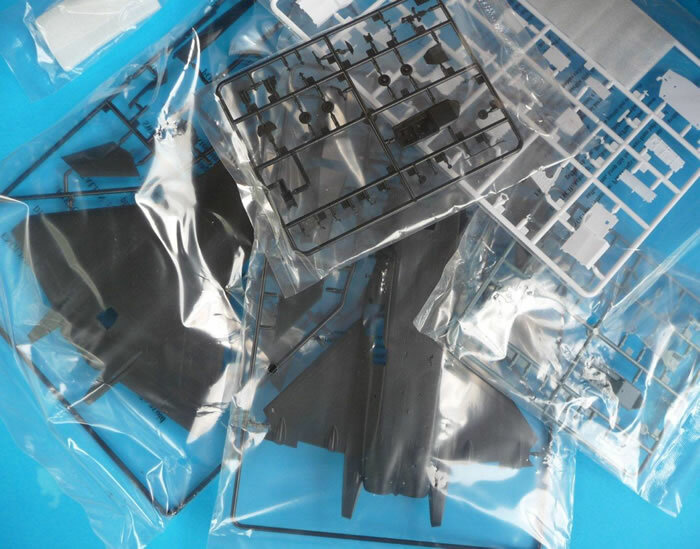 2 x black sprues (fuselage) 1 black and 1 grey sprue (cockpit), one white undercarriage sprue and one clear canopy sprue. Decals, photo etch, A4 instruction sheet and colour guide. While I cannot comment on size accuracy… Even if I did know I don’t think I would be a liberty to divulge that information….. 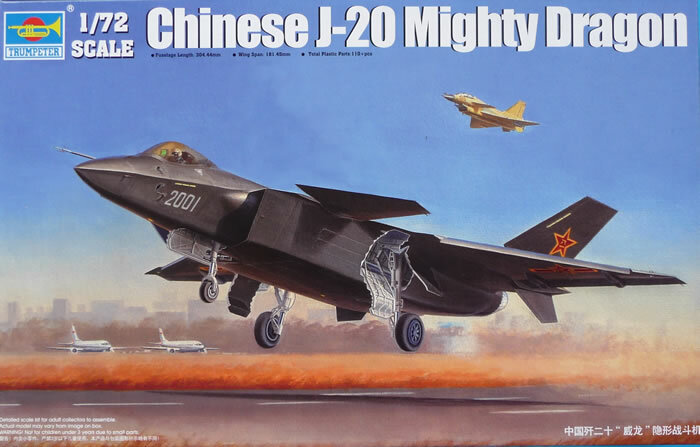 The J-20 Mighty Dragon is a fifth-generation, twin engine, stealth fighter. The prototypes were developed by the Chengdu Aircraft Industry Group for the Chinese People's Liberation Army Air Force (PLAAF) first flew on 11 Jan 2011. 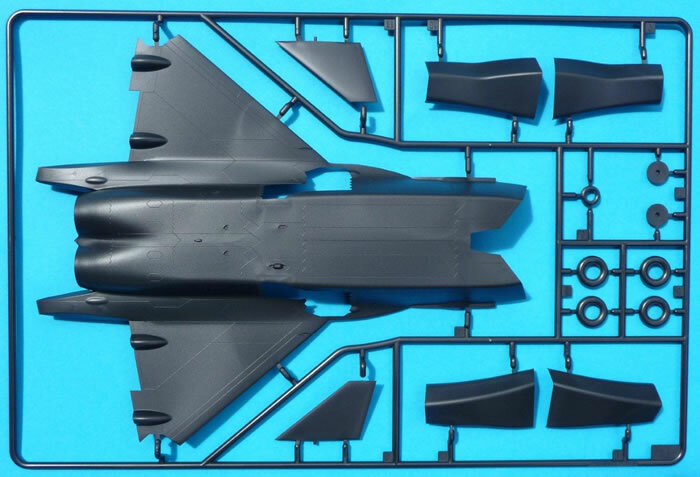 Given that most dimensions are based on estimates and images, it will be a while before we know how accurate this kit is and how close it will be to production aircraft. Well I must say that this is a big box for a 1/72 scale kit. It rivals many WWII and single seat Jet models in 1/48 scale in terms of box size. Upon opening the box the positive experience begins. 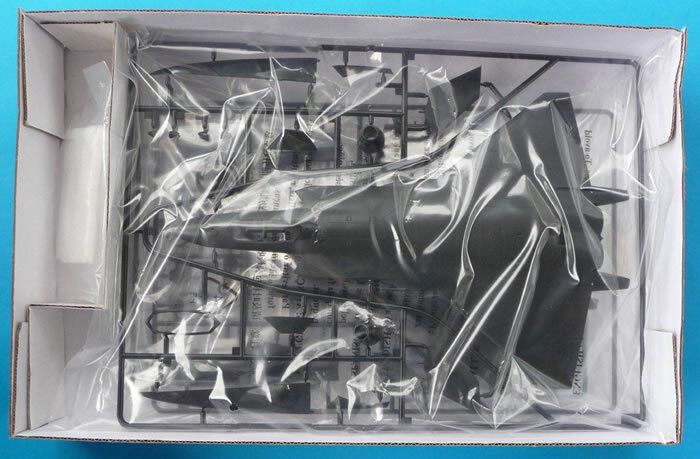 All sprues are individually bagged; the canopy is wrapped in thin foam, bagged and stored in its own compartment. 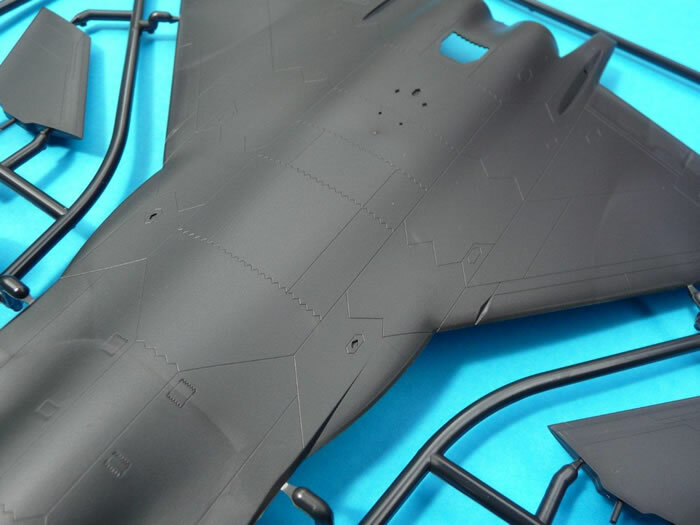 Delicate parts such as the nose landing gear are foam wrapped to prevent damage. The care of the plastic and its presentation to the purchaser are to be commended. 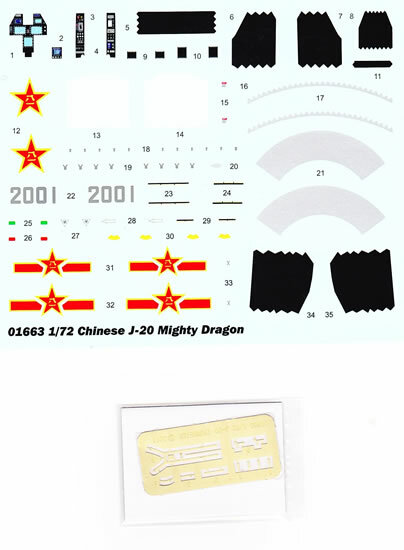 As I mentioned in the summary, this kit reminds me of Matchbox kits that I built when younger. 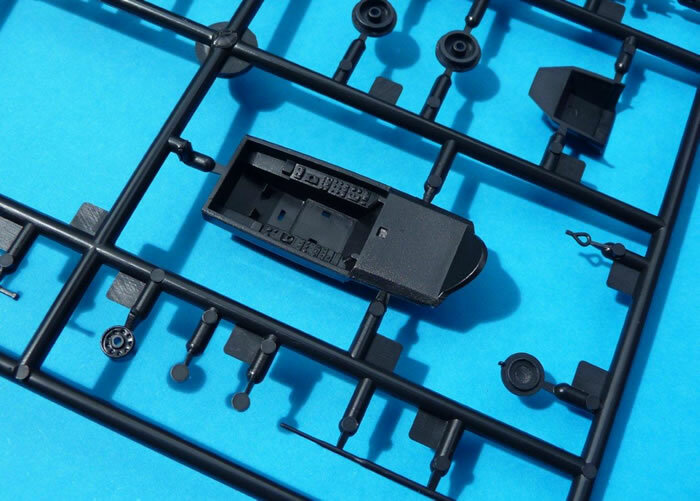 The multi-colour plastic allows you to build this kit without painting and to use the decals to do the exhausts, and make the landing gear door black on the exterior). 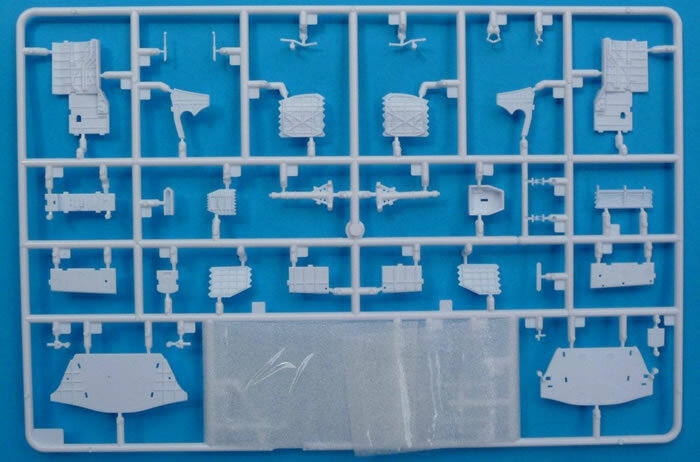 I feel that this option is lost on the purchaser and that Trumpeter needs to push this option more, some pictures of an unpainted but completed kit on the side of the boxing may assist with sales to encourage younger modellers into the hobby. That is not to say this kit is only for the beginners. 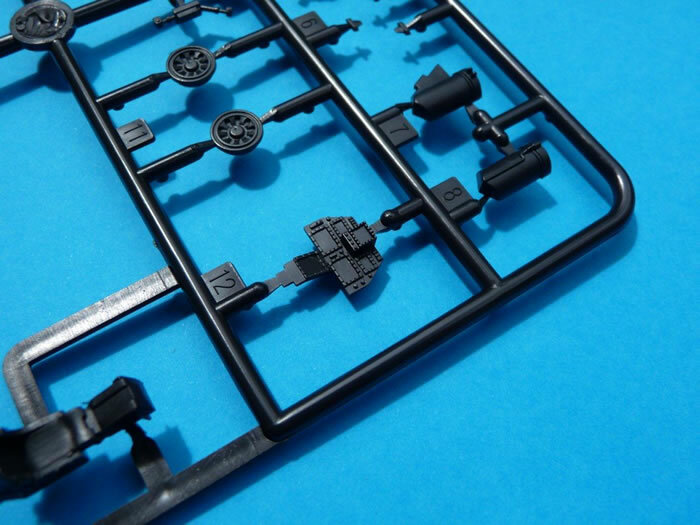 A painting guide is provided in each step to allow you to paint all parts. 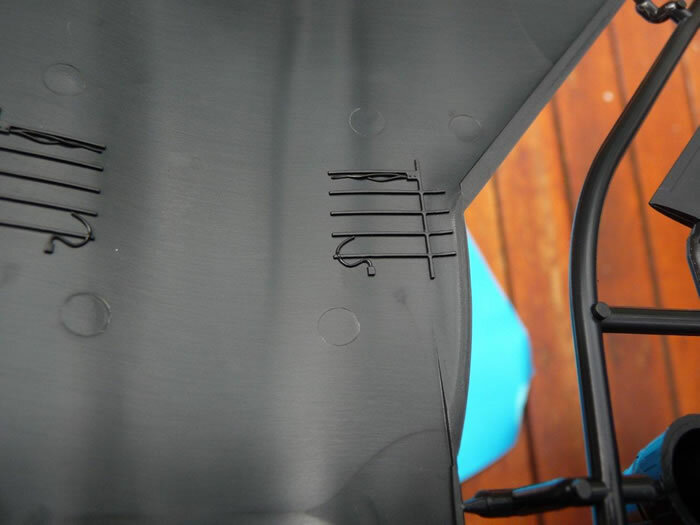 Starts with the ejection seat that contains photo etch harnesses, a nice option that you don’t often see on 1/72 kits. The cockpit is quite detailed and should come up nicely using either decals or painting. 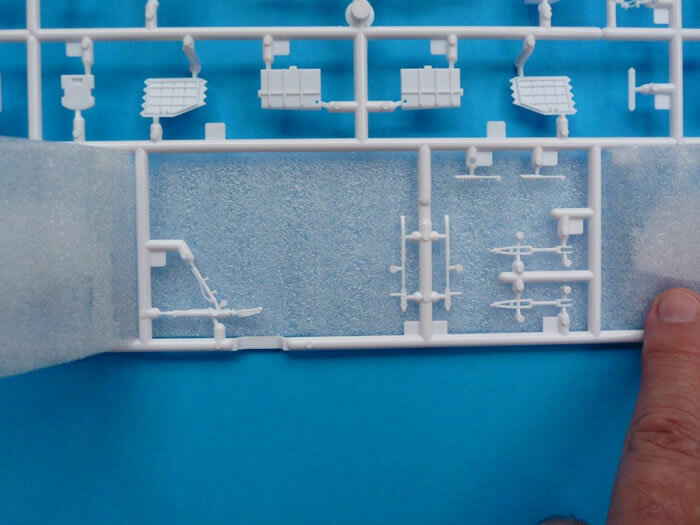 The wheel wells have a nice level of detail and look to be good representations of the actual components. The intakes have trunks that terminate at the main wheel well. At the risk of repeating myself, some of the detail provided here amazes me, as I wish many of my 1/48 kits had the same detail provided. 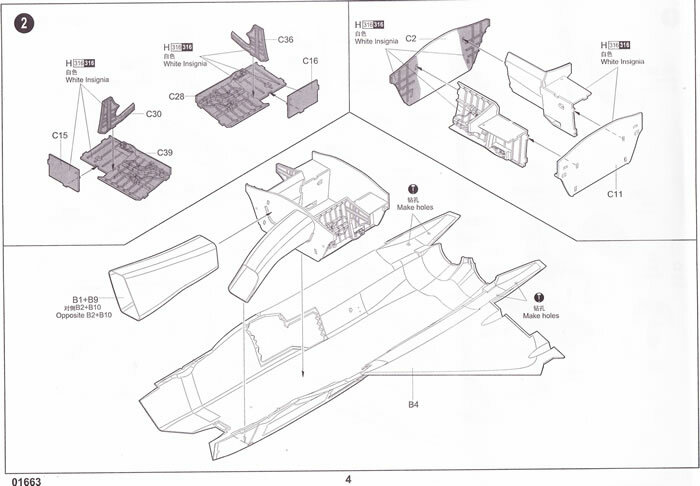 The fuselage is integrally moulded with the wings and is divided horizontally so that the seam lines are along the wing edges and where the upper and lower fuselages meet on the actual aircraft avoiding unsightly join lines during construction. 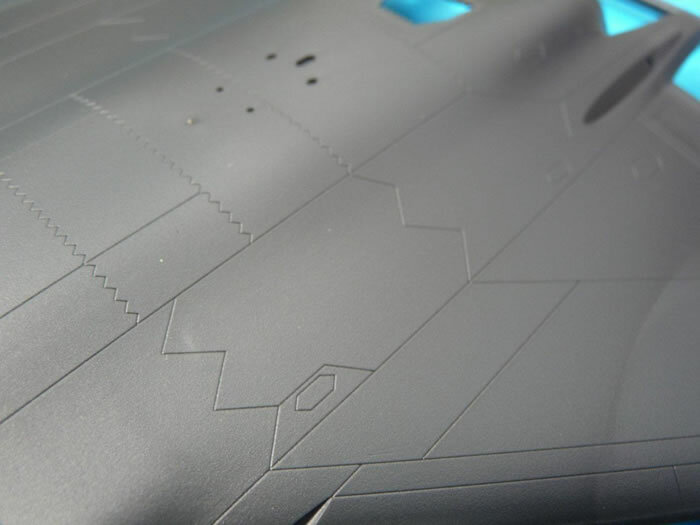 The level of detail on the fuselage is nice with the recessed panel lines being refined for this scale. The main landing gear has the hub and tyres as separate items this makes painting a breeze. 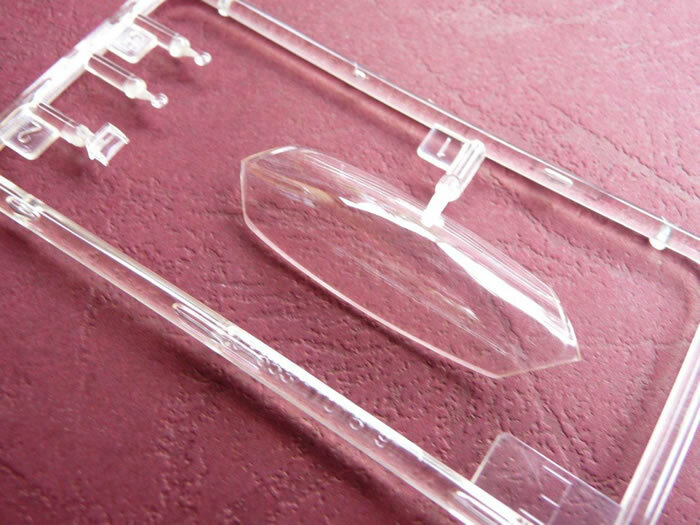 Finally the canopy frame is also a separate item to the clear plastic. I hope you like black. While there were two prototypes in Jan 2011, you are only provided markings for one aircraft “2001”. 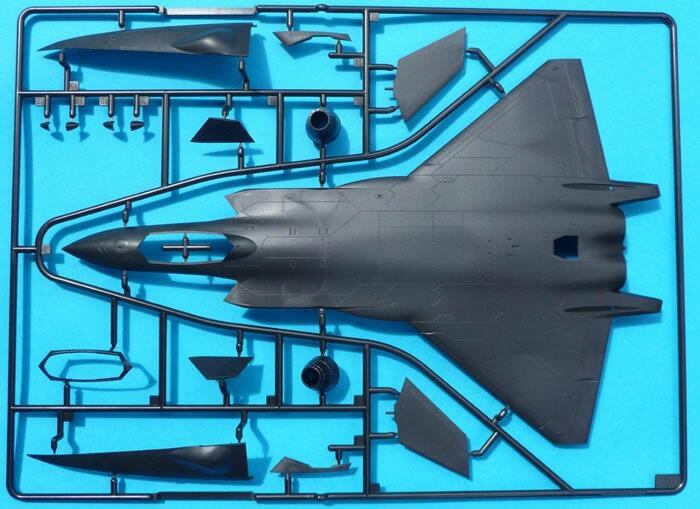 I have already seen a build that uses a standard J-10 or J-15 grey scheme in place of the prototypes black, giving you an idea of what production aircraft may look like. One aircraft only however, they are nicely in register, no manufacturer is listed. It’s always nice to see a manufacturer produce a kit of the latest piece of military hardware. As we have seen in the past though, if the production aircraft differs or the kit is not updated, the kits relevance and appeal may quickly diminish. I do hope that this will not occur in this case. 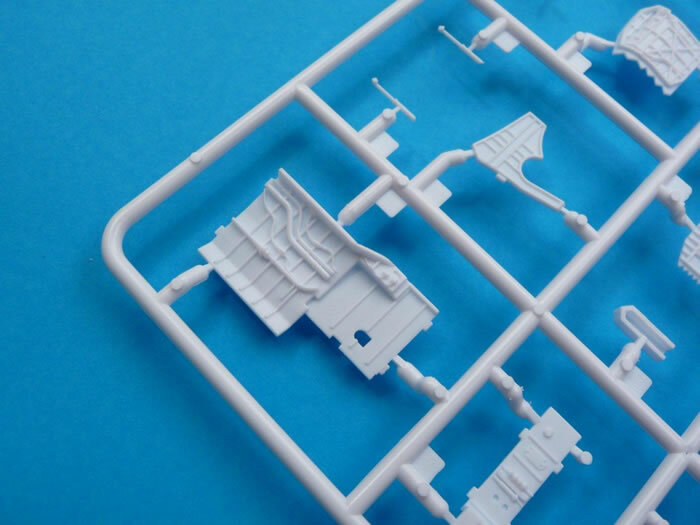 There are a lot of features packed into this 1/72 scale kit that I would love to see in most 1/48 scale kits (PE harness, wheel hubs separate to tyres, intake trunks etc), such is the detail included by Trumpeter in this 1/72 scale kit. 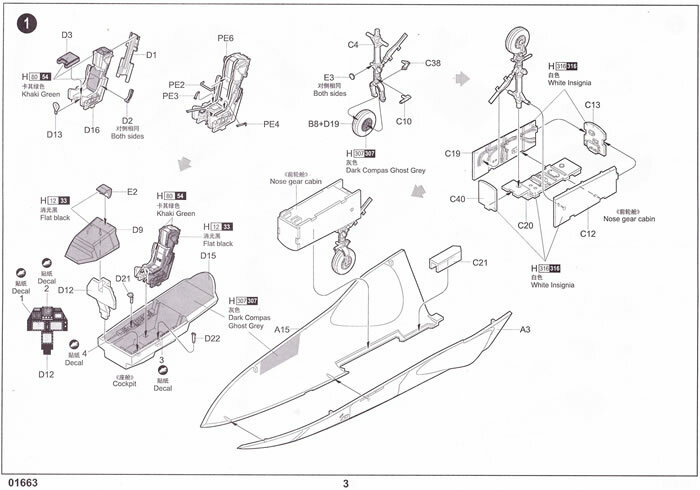 After looking at the kit I have been struck with a dilemma, do I do my usual and build this kit like all my other builds where I am aiming to replicate the real aircraft, or do I sit down with my son and build this in a day with no painting and enjoy sharing the hobby with my son, either way I think I/we will enjoy this kit. Thanks to JB Wholesalers for the review sample.